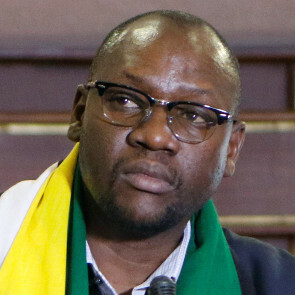 Human rights defenders, including Evan Mawarire, are among more than 130 people in Zimbabwe who have been arrested in relation to widespread protests, which began on 14 January 2019. The protests started after President Mnangagwa announced a 150 percent increase in fuel prices. The Zimbabwean authorities reacted to the protests by deploying the military and by cutting off Internet access. In the cities of Harare and Bulawayo, the security forces opened fire on protesters, shooting 68 and killing at least eight. There were at least 100 reported cases of assaults with sharp objects and baton sticks by state security forces. On 15 January 2019, authorities blocked the Internet. Some services were briefly restored on 16 January, but by 18 January the Internet was once again inaccessible and the block was extended to include email communication. Zimbabwe’s biggest mobile operator, Econet Wireless, said the government had ordered it to suspend its services until further notice. Such a move severely limited the ability of human rights defenders to document and expose human rights violations during the ongoing protests and furthermore put them at increased risk by restricting their ability to communicate. In mid-afternoon on 18 January Econet Wireless issued another statement saying that they had received “a further instruction under ministerial directive to open access to the gererality of Internet services except for specified social media applications”. In the morning of 16 January 2019, pastor and human rights defender Evan Mawarire was arrested by the Zimbabwe Republic Police (ZRP) at his home in connection with a video he had posted on social media three days before. In the video, the defender had called on workers to heed a three-day peaceful national demonstration. The ZRP officers searched his house and confiscated his laptop and mobile phone. He was taken to Harare Central Police Station and charged with “incitement to commit public violence” under section 187(1)(b) of the Criminal Law (Codification and Reform) Act. On 17 January, the human rights defender briefly appeared in court. His appearance in court was delayed by the ZRP’s decision to add two new charges: “subverting constitutional government” and “public violence” as defined in section 22(2)(a)(iii) and section 36(1)(a) of the Criminal Law (Codification and Reform) Act. According to the prosecutor, the video triggered acts of public violence and rampant looting. If convicted, Evan Mawarire faces up to 20 years in prison. On 18 January 2019, the human rights defender appeared in court in relation to an application filed by his defence challenging his detention. His application for bail was denied and he was remanded in custody until 31 January. On 16 January 2019, Zimbabwe Lawyers for Human Rights (ZLHR) and the Media Institute of Southern Africa-Zimbabwe Chapter (Misa-Zimbabwe) filed an urgent application challenging the suspension of Internet services. The application argued that the blockade was a violation of citizens’ fundamental rights including access to information enshrined in section 61 of the Constitution. Front Line Defenders strongly condemns the ongoing violence and repression by the authorities and the mass arrests and killings, and the severe restrictions to freedom of expression. Front Line Defenders reminds the Government of Zimbabwe of its duty to facilitate and protect the right to peaceful assembly and freedom of expression.